Jan Egeland is Secretary General of the Norwegian Refugee Council and a former United Nations Emergency Relief Coordinator. Maiduguri City, Nigeria, Oct 13 2017 (IPS) - Haja grabbed her eight children and fled as Boko Haram set her home ablaze two years ago. Today we sit in her hut in a displacement camp, and she wonders how she is going to keep her children fed. I’ve spoken to many families in Nigeria’s north-eastern Monguno town. Their stories paint a horrifically detailed picture of the brutal violence these communities have endured over the past eight years. The Nigerian Armed Forces have been at war with the Islamic extremists Boko Haram since 2009, fighting a battle that has seen well over 20,000 people killed. Recent military gains have pushed the jihadists back. In response, Boko Haram has stepped up attacks on softer targets like marketplaces and camps sheltering displaced people. Civilians have become the preferred pawns in this senseless conflict. Borno State – the crisis’s epicentre – saw the highest number of attacks this year since 2013. Also on the rise is the appalling use of children as human bombs. We have seen four times as many so far this year, compared to the whole of last year. Here in northeast Nigeria, no place is sacred, no person is safe. Despite these dangers, many government officials are keen to see communities move back home. This is usually a cause we should all champion. But the unfortunate truth is that pushing people back now will have harmful consequences. 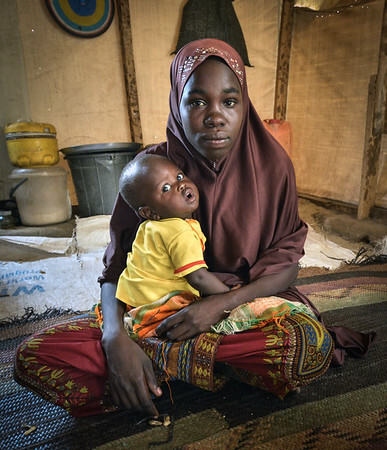 In the largest report of its kind to date, the Norwegian Refugee Council surveyed over 3,400 households – representing 27,000 displaced people – in Borno State, to find out whether communities were ready to return home. The results were undisputable. Eighty-six per cent of people interviewed say they are too scared to return in the immediate future. Over 80 per cent of those cite insecurity as the main factor preventing them returning. An overwhelming majority tell us they feel safer in camps than where they were before. A startling statistic, considering camps are increasingly the target of suicide attacks. Even if the security situation improves, our Not Ready to Return report found that half of the displaced people interviewed say their homes were destroyed in the conflict. There’s nothing left waiting for them. Communities who decide to return home must do so of their own free will. Reports of coercion to expedite people moving home are most concerning. Returns must be safe, voluntary and informed. Before displaced Nigerians return home, two key things must be done. Firstly, the overall security situation must improve. Communities must be, and feel, safe. This is the primary responsibility of the government and its armed forces. Secondly, resources must be channelled into rebuilding homes and re-establishing livelihoods. Families need a roof over their head and the prospect of making a living if they are to have any chance of starting anew. This is where the international community can support. We can provide them with the tools to do so – construction material, farming equipment, start-up capital and livestock. My organisation also counsels returnees on housing, property and legal rights. This is just a first step. Forced returns and new bouts of violence are just two ingredients adding to the danger that is stewing in the northeast. We managed to avert a famine striking Nigeria, for now. But let’s not forget that the food crisis persists. More than 5.2 million Nigerians do not have enough to eat. The violence, coupled with food insecurity and a push to move people home prematurely, will certainly create a toxic mix ideal for exasperating the humanitarian crisis in the northeast. Now is the time for long-term strategies, not short-term thinking – for Hajja’s sake and the 1.8 million other Nigerians anxiously waiting to return home.